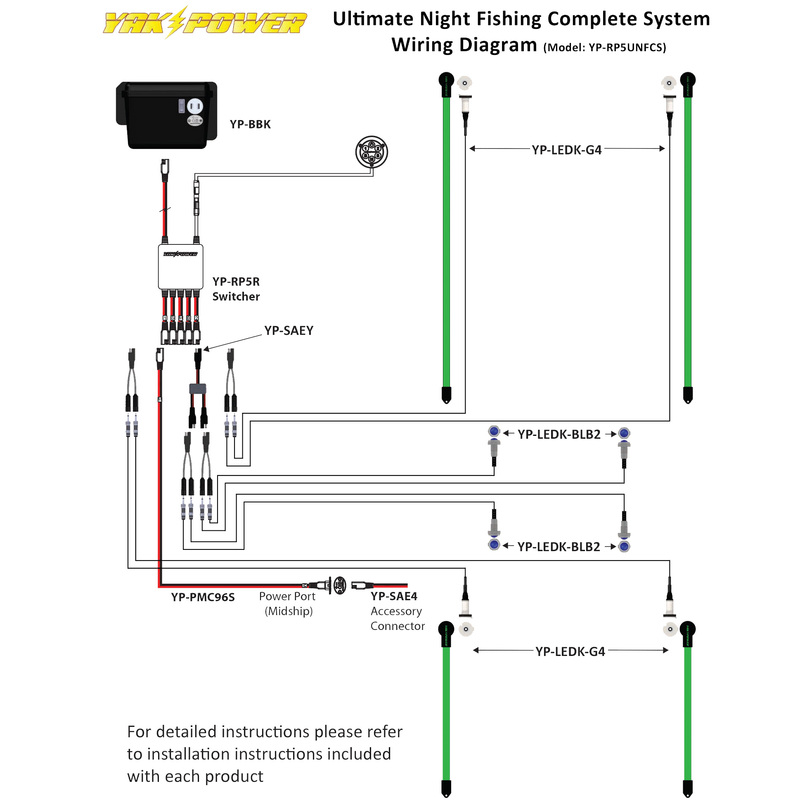 For anglers who love night fishing, want to attract bait and have interior lighting that’s easy on your eyes, the Ultimate Night Fishing Complete System is perfect! It comes with our patent-pending Power Panel electronic control system, our Power Pack Battery Box (batteries not included) with master power switch and integrated USB charging, an 8ft. Power Port and Power Plug accessory connector for your fish finder, our complete 4-piece green LED light kit and our 2-piece blue LED interior button lights. Rigging your kayak for night fishing has never been easier. Connecting everything together is simple with the Yak-Power plug-and-play connectors. Be sure to check and comply with local boating regulations and laws governing night fishing out of a kayak in your area. Note: Yak-Power uses our own custom tooled, high tolerance, very snug fitting connectors with larger gauge, real copper wire to ensure a quality, weatherproof and reliable connection. Bought this light system 2 weeks ago and this light system is pure genius. It is so easy to install and so clean. My only suggestion would be to give you a color option on button lights when buying a kit. The blue lights are reserved for law enforcement only in AZ( I switched to red). Great company to work with, you wont be disappointed at all.